What do we need to know about our race in relation to our wellbeing? Do we have different requirements? What are they? Afrikan people have a high mineral content in their bodies so they require more minerals than Caucasians, Asians and Hispanics to maintain their natural equilibrium. This means the consuming of more fruit and vegetables that are in their natural states to top up on the minerals needed for optimum health. Afrikans are melanin dominant this means that African peoples are able to perceive and store the various levels of energy in the universe. It also means that we are more susceptible to radiation poisoning from computers, mobile phones and TV’s. We basically need sunshine, good quality water and to be grounded in the activities of the earth. Afrikans need to eat African food, wear African clothing, enjoy African pastimes. The point is that Afrikan people will have to align themselves with their culture this is the basic requirement of all peoples to act on. We speak, eat and look different for a reason and this uniformed culture we live in is an unreality based on non-acceptance of difference. Uniform mentality is a disregard of diversity. The embrace of who you truly are is an act of MAAT and this will facilitate a true planetary alignment and balance. If you are now going to ask me what is our culture then I would say research. You don’t know then RE- SEARCH. I can certainly recommend for Afrikans the books African Holistic Health by Dr Llaila O. Afrika, Melanin A Chemical Key to Greatness by Dr Carol Barnes as a start. The info is out there and then once you find, act on it. Respect a question enough to follow through and find the answer once you have the answer let it inform and mould your life. What pains me most about the wellbeing of the black community? It’s an interesting term ‘pain.’ I often tell students that pain is resistance and that is what Afrikan people are experiencing, resistance to change, resistance to what is. I am not one to condone such terms however I do get irritated from time to time and even this is due to my lack of acceptance. One of the irritants for me is the level of ignorance of those who sees themselves to be conscious. In yoga to be aware of the problem and do nothing is not enlightenment, therefore awareness in this term is knowledge. Going out and marching, picketing and protesting is also not enlightenment. The use of change through self- transformation and self-awareness is wisdom obtained. Knowledge without its sacred marriage to wisdom is as one great teacher put it “getting into a boxing ring with one arm tied behind your back”. “A genuine change must first come from within the individual before he or she can make a significant contribution to humanity” The Dalai Lama. In the black community there are groups of people who are information junkies they like to hear about the science of a glorious past, the dangers we presently face, the dramas of our conditions and they also like to get angry however they still do not invest in their own freedom. They see themselves in lack, They do not visit Africa, they do not change their diets, they continue to compete with their own people and treat each other with mistrust, they do not slow down and seek their ancestors in meditation, they spend a lot of time blaming someone else for their own state and not enough time creating a better life for themselves. No more excuses. struggle. What are Black people struggling for? There is a system in Afrikan Yoga that is called HUDU this is Afrikan Tai-Chi it utilises the elements and the principles of the elements when one is in tune with nature there is no struggle there is an understanding, overstanding and inner-standing that allows one to flow with natures laws. Embrace nature and be in line with true-selves. We are easily out of touch because we concern ourselves far too much with events outside of our bodies and minds. We are filled with horror stories from gossip news and not enough attention is placed on joy and progress and what is happening within. We still see the need to speak of pain, when you focus on something contrary to what you truly want you block your own progress. When you move beyond pain there is relief, a deeper knowing, a healing. How long are we going tell ourselves our legs hurt and not do any stretching and breathing to ease the tension? So lets speak of what encourages us what enables us to create to be loving and joyful. What does my work do for the community and why should more of us do it? I am not really working I am just living. What do I mean by this? I am creating and self expressing, this is one of my many natural states of being. Work would be too much of a strain, a struggle. Afrikan Yoga is a live-ity and the life I choose to live is to teach. My first principle is to be practical first with my self and then I take that in to the studio or session. I do not just speak about yoga and theory or it’s history and foundations I actively teach the physical aspects. – Creates a perfect feeling of well-being and when the body feels good and energetic, it stimulates the body to prevent and cure illness. No other form of exercise has such a remarkable effect on the body’s own natural healing powers. – Regulates your breathing improves energy levels, alertness and clarity of the mind. – It stretches and works most of the muscles in the body toning and giving an invigorating workout. Increasing your energy with oxygenated blood, which actually helps to store energy in the body and replenish cells. Many diseases are caused by poor circulation so yoga is a valuable therapeutic tool. – It calms and de-stresses you. For those who do no activities, where should we start? Start slowly in the health changes you make for yourself and then it will be more natural and fluent. Crash courses only work for a small percentage of people. Remember your health is your wealth. Learn as much as you can in regards to African health and healing practises, acquire books, cds, dvds, attend lectures and classes to develop your knowledge base and this will help to inform your live-ity. A healthy body and a healthy mind come from healthy living, which consist of Exercise, Nutrition, Relaxation, Positive thinking & Affirmations and Meditation. If you do no activities based around health then the best place to start is at home. Create a daily or weekly schedule when to exercise. Exercise the whole body instead of splintering the body and isolating the body parts through bodybuilding that are presently taught in gyms. Swimming, Cycling, and yoga, exercises the whole body simultaneously. Breathe deeply, relax and go for a long walk. Visit the park more often and just walk and breathe. Pablo Menfesawe-Imani/Khonsu Sekhem Ptah is the author of ‘Afrikan Yoga A Practical Guide To Wellbeing Through Smai Posture, Breath and Meditation’. Pablo is a Holistic Health & Wellness Consultant, Iconographic artist, and International African Yoga Instructor. Pablo M. Imani is also the Founder of Afrikan Yoga established in the UK and Ghana and The Tamare Smai School of Afrikan Yoga. 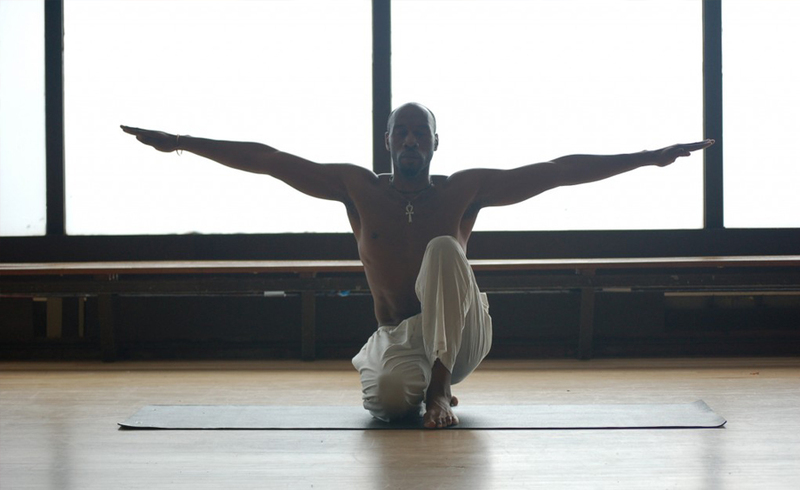 Pablo provides teacher training in Afrikan Yoga.